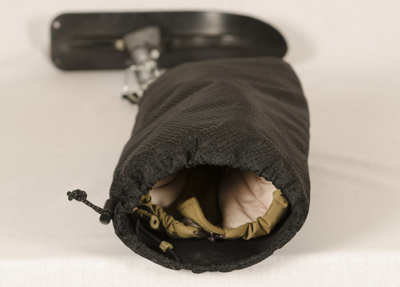 The first component is an insulated glove, which incorporates a tube that you wrap your fingers around before zipping closed. The glove goes through the outrigger cuff and over the outrigger peg. 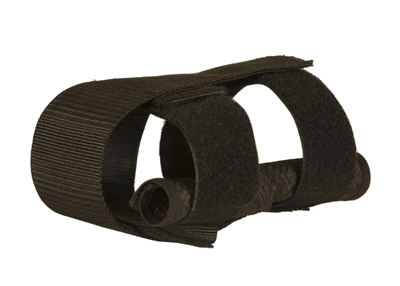 The second component is a Velcro® harness consisting of three Velcro® straps. The straps secure the hand inside the glove and the glove onto outrigger. 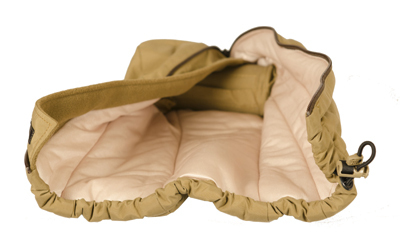 The third and final component is a protective outer shell that goes over the glove and straps. 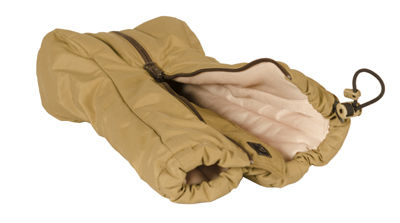 The shell prevents snow from interfering with the Velcro®, plus adds additional insulation for warmth. Additional written information and photographs are shown below. Click on the thumbnails for higher resolution views. Our Glove is made of Taslan 2-layer ePTFE (expanded polytetraflouro-ethylene, generally identified as Gore-Tex), insulated with lofted polyester for warmth. The skier's hand wraps around a PVC (polyvinyl chloride) pipe, thermally separated from the outrigger peg. The glove zips closed along the wrist and tightens with a shock cord and cordlock around the forearm. 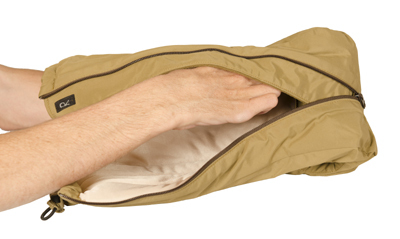 Note: The glove fabric shown in the photographs is a light brown. This is our prototype. Your manufactured gloves are a light gray. 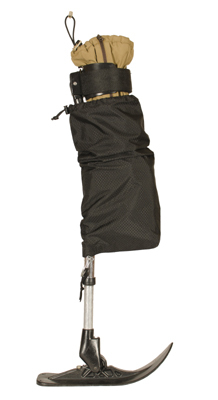 Our Harness is made of 2" and 3" Nylon Flat Webbing and matching hook and loop (generally identified as Velcro®). 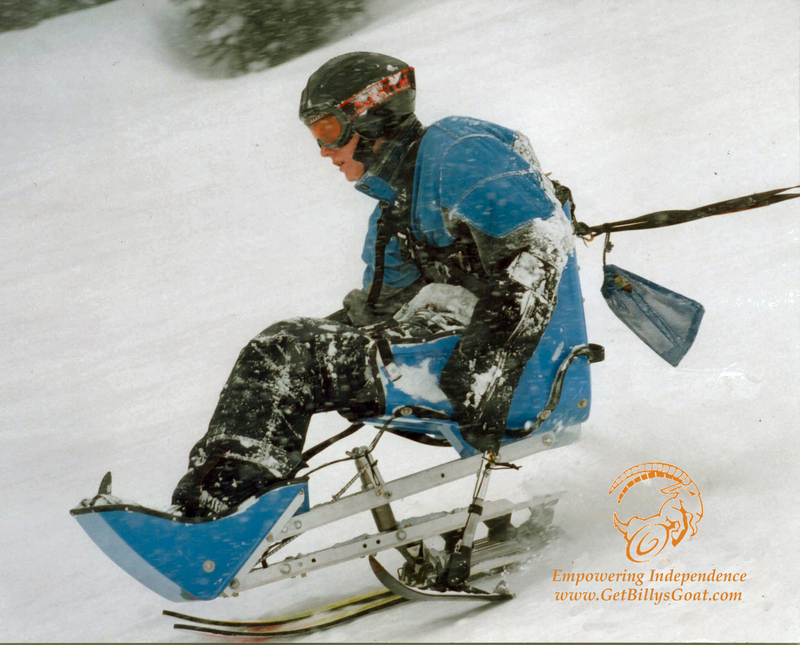 The webbing harness fastens on itself, around the outrigger, strategically placed to maximize securing of the skier's glove and hand. Strap #1 (2-inches wide) goes around the upper wrist, thus holding the arm securely against the outrigger tube. Strap #2 (2-inches wide) goes diagonally up and over the skier's hand, holding the hand down and thumb secure. Strap #3 (3-inches wide) goes down the zipper side of the glove, around the finger end, and then back up the opposite side - hooking to the Velcro® on Strap #1 and Strap #2. Our Outer shell is made of Ripstop Nylon with a polyurethane, water-resistant coat. The shell goes over both the glove and harness and tightens with a shock cord and cordlock around the forearm. At the hand end, the shell remains shut via Velcro®.